On 19th February 2019 Meadow Memories returns to River Meadows to provide a day to cherish for residents. Meadow Memories aims to use the power of sport to provide a vehicle for social activity, discussion and to try and stimulate memories in residents. 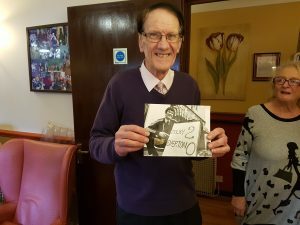 By taking in Shrewsbury Town memorabilia, such as old photographs, programmes, and even a coracle, the project hopes to provide a day that residents can cherish. Former Shrewsbury Town players have also been known to appear at the events with Steve Cross, Peter Dolby, and Ken Mulhearn all having visited residents in the past. The Alzheimer’s Society website says that ‘Reminiscence’ can be an important technique for helping those living with Alzheimer’s, and using props such as objects, music, and photos can help with this process. It is also written that this can help to maintain people’s self-esteem, confidence and sense of self, as well as improve social interactions with others. To read more about Meadow Memories click here.